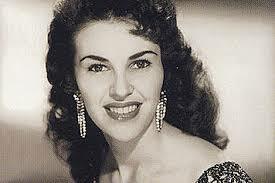 This cover of a song originally recorded by Wanda Jackson in 1956 was a top country 20 hit for Linda Ronstadt in 1974. California honky tonker Heather Myles has been around for a while, but has released only a handful of albums on a succession of independent labels (including two on Rounder) since she emerged in the early 90s, and nothing for the last few years apart from a live album and compilation. She has at last re-emerged with some new self-penned material on (her own?) Me And My Americana label. Heather co-produced the album (recorded in California and mixed in Texas) with bassist Taras Prodaniuk, a former member of Dwight Yoakam’s band. She has a distinctive and weighty alto voice which works well with her material. The solid opener ‘When Did You Stop Loving Me’ sets out Heather’s stall and is a very retro sounding Bakersfield shuffle which is the kind of sad song it is a joy to hear. Similarly the equally good drinking song, ‘Broke And Broken Hearted’, is sprightly sounding belying its downbeat lyrics as the protagonist declares that she is getting over her ex (but still can’t pay the rent as she has lost her job). In another post-relationship breakdown number, Heather is more cheerfully ‘Smokin’, Drinkin’, Dancin’ Again’ when she finds herself single again. The ubiquitous Willie Nelson duets with Heather on the chugging Tex-Mex ‘Don’t Call Me’, a kiss-off song to an ex which may not make complete sense as a male-female duet but is fun to listen to. As a lyricist Heather sometimes leans to obvious rhyme schemes, particularly on this song and ‘Pretty Poison’ a slightly clichéd complaint about a glamorous love rival, and I don’t think the material here is as strong overall as on her previous releases. In the second half of the album Heather makes a few unexpected detours from her honky tonk comfort zone. On the more mellow side ‘Mama’s A Star’ is an affectionate and appealing tribute to Heather’s mother and childhood with an attractive melody. The title track is a rather airy and wistful failed ballad about (literally) moving on after a failed relationship by taking to the ocean, which sounds more contemporary than I was expecting from Heather. The closing track, ‘My Baby’s Good To Me’ is pretty much straight sultry blues. There are three covers, the first of which, the Spanish sounding 1950s pop song ‘Vaya Con Dios’ is not very interesting and sounds out of place Much better are two country classics from the early 1960s, Wanda Jackson’s ‘Right Or Wrong’ and the cheating song ‘Walk On By’ (a #1 hit for Leroy Van Dyke which may not be as well-remembered as it deserves to be), both of which are perfect for Heather. This may not be Heather’s best work, but it’s still an entertaining slice of California honky tonk. Distribution of this album seems to be rather limited, but you can get it from Amazon Marketplace or more cheaply from the website of Trucountry, the RFD TV show on which Heather has appeared. You can also check out some of the songs on Heather’s myspace.